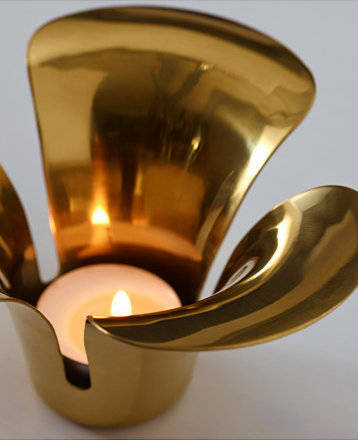 STILLHET is a decorative tea light holder. 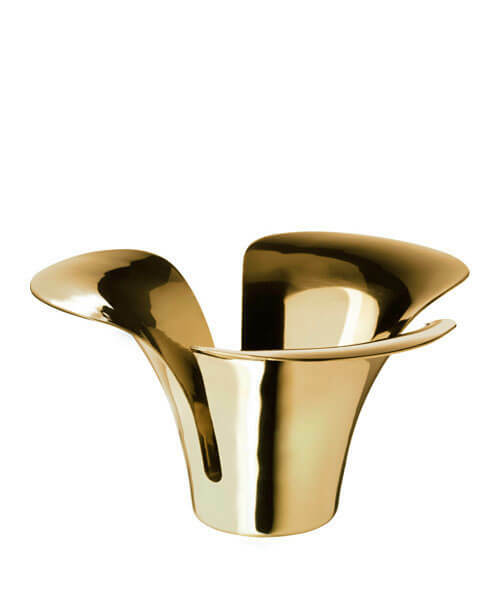 The idea behind STILLHET tea light holder was to capture an expression to match STOCKHOLM bowl. I continued on the flower theme because I wanted to remind us all of the importance of nature. 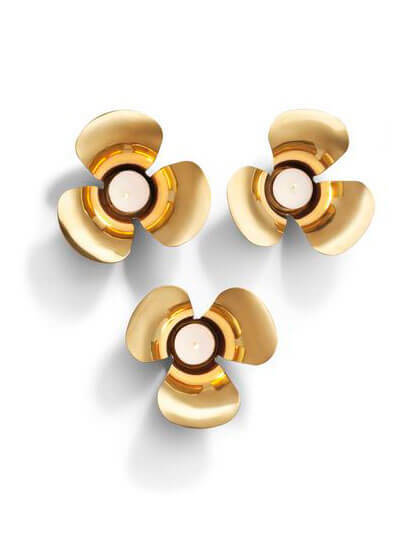 The brass-coloured metal makes STILLHET tea light holder an attractive contrast in a modern interior. Light the tea light inside for a beautiful petal pattern, or display without a tea light as a decorative item in its own right..
VÅRVIND is a set of two vases with an irregular shape.